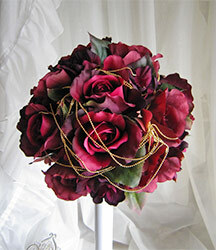 Dark red rose meaning might be different from a red rose meaning in a light color. Although red roses are red roses, it might come into several shades just like a spectrum of colors. Red roses can have a lighter shade to a darker one. What do they represent then? What Does A Dark Rose Mean? Flowers are just beautiful as we all know already. They come in different names, shapes, sizes, and colors. Giving flowers to someone has been a common sight in every corner in the world. Yet, we should know what kind of flower that is suitable to our intention. It is not a new thing to know. Among those flowers, roses are a favorite flower for many people because of its beauty and its gorgeous looks. Although it comes in several colors, red is the most favorite color of roses undoubtedly. In addition, red roses might have a lighter or darker shade and they might have different message too. We will discuss about the meaning of dark red rose here. Just like red roses in common, we cannot deny that dark red roses are beautiful. So, what do dark red roses mean? Some people believe that a dark color of roses represent mourning, sadness, and death. Some others believe that it has a more joyous and better meaning than that like a deep love and rebirth. Those are meanings from a dark crimson rose. This rose has colors like a burgundy or blood color. Beside those meanings from a dark crimson rose, dark red roses in common can represent an unconscious beauty and a deep expression of love. Those who have been in a relationship for such a long time can still give this kind of red roses to express the great longing and deep passion. Dark red roses can also enable people to deliver a message that is difficult to be said by words only. Giving dark red roses can be a help for you who are still in doubt to express your love with words only. In addition, single dark red rose meaning is another thing to be highlighted. Taking an interaction to a certain level of relationship can be shown by one dark red rose. It can also have a meaning to show promises to have love and devotion that last for the rest of the life. It shows a love that will not change. How about 12 dark red rose meaning? It does really have its own message. Why 12? As we know, numbers of roses can have different message and 12 is a popular number, the most popular one. This number delivers a message to say “I love you” and ask someone to be yours. It looks like a simple message, yet a strong message. 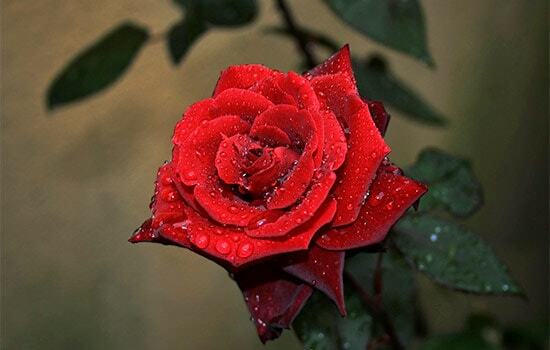 As can be seen from the explanation above, dark red roses carry a pain message and also a pleasure one. You can decide to give this rose to someone by knowing first the dark red rose meaning. Previous post What is Dozen White Roses Meaning? Next post What Two Rose Meaning Can Speak Up About?